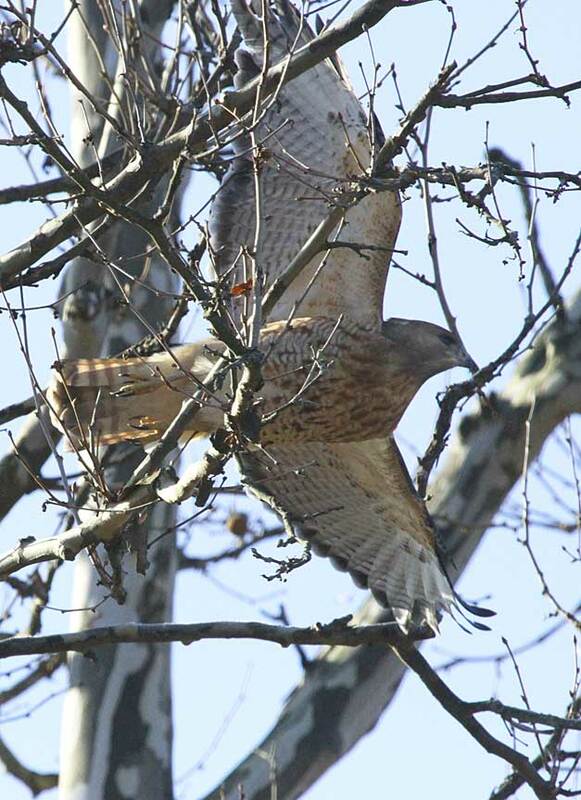 In 2007, Julie Waters, a local photographer, who had been seeing this hawk for a year and a half, posted on a birding blog to try to figure out the identity. 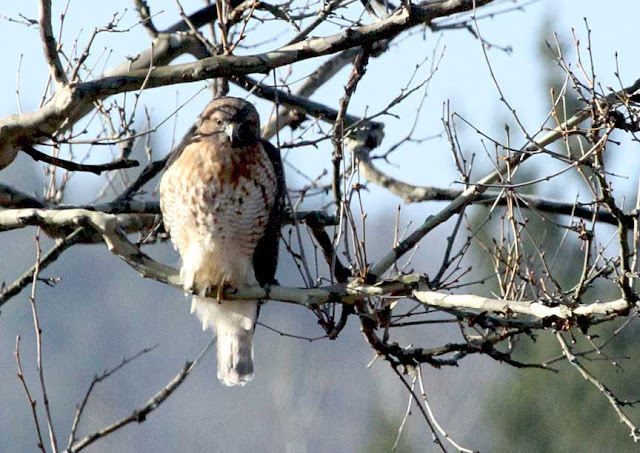 The discussion was pretty intense with opinions from red-shouldered to red-tailed to believing it was two different hawks..........you get the picture. 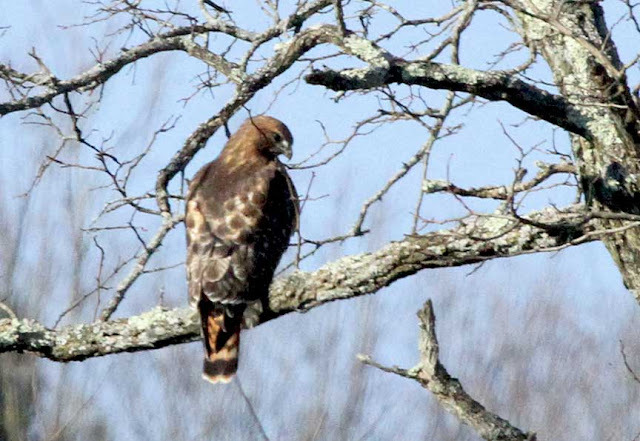 On our way home from birding this morning, I spotted the hawk in its usual area along the Saxtons River near Gageville. 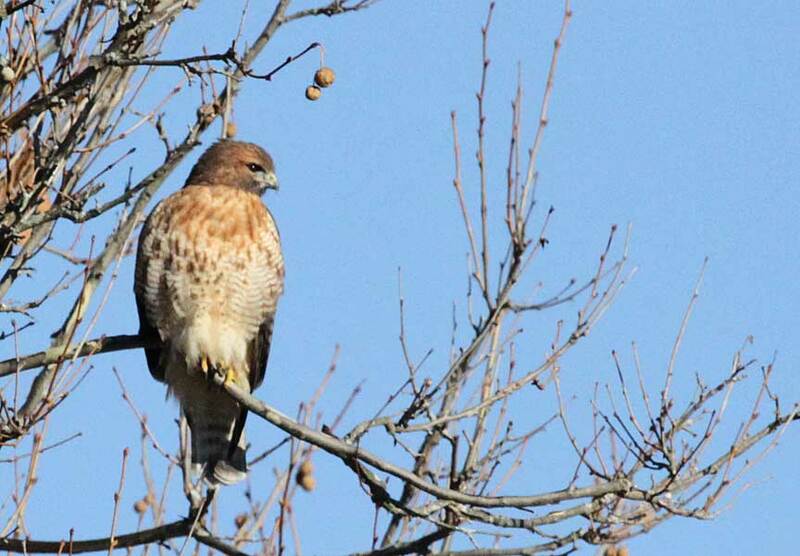 This hawk has been continuously seen here for years now, so it's an adult. If it were a red-tailed hawk, it would have a red tail. 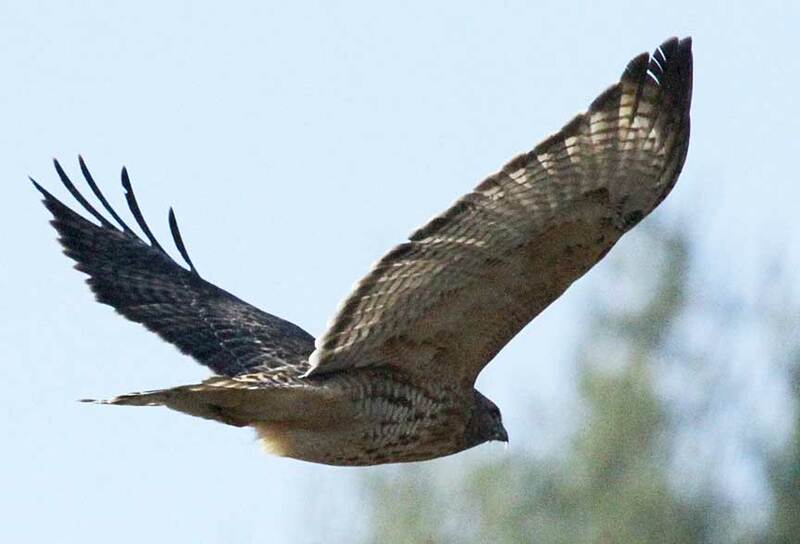 "What an interesting bird! 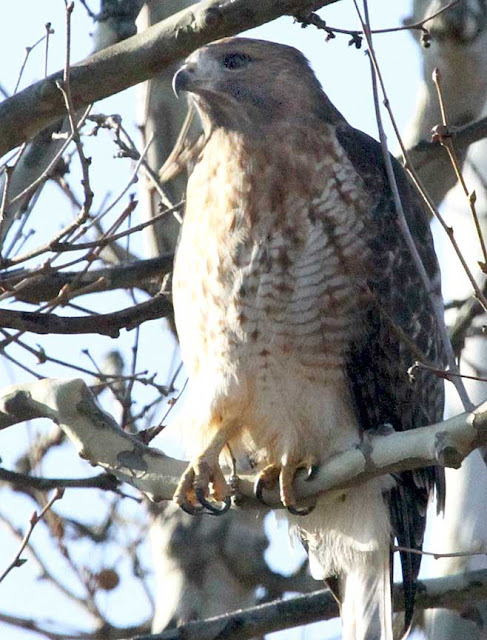 While I had a momentary first impression of 'western Red-tail' that was quickly dispelled as I looked at more details and I think this can only be a hybrid Red-tailed x Red-shouldered hawk! The pattern of orange breast with sparsely streaked and barred belly seems like a mixture of the two species and not normal for either, the posture and body shape in some photos looks like Red-tailed, in others like Red-shouldered, and several photos show clear reddish accents in the smaller wing coverts which is wrong for Red-tailed. I'm sure a careful analysis would reveal lots more 'mixed' characteristics." Julie also had recorded an audio clip of the call. 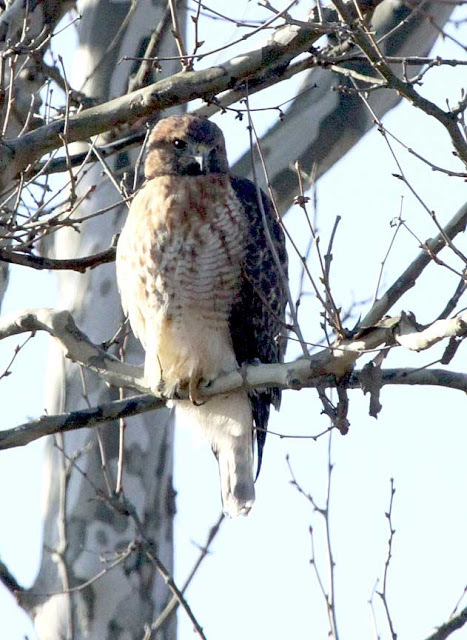 David Sibley said, "The clincher, for me, is the call which sounds most like a Red-shouldered and would be extremely unusual (if not impossible) for a Red-tailed." So that's the story of our resident hybrid hawk! I just love the fact that this bird is still here! I've been an avid birder for years. Gerry couldn't quite understand my addiction until he got a new camera! Now he's all about finding birds. Gerry has a Canon EOS 7D camera with a 100 - 400mm zoom lens.